By the inherent online SaaS nature, SaaS marketers are “forced” to hack their way to growth online. So, what do most SaaS CMOs do? They spend money on media, sending traffic to salesly landing pages that rarely convert visitors to leads (and even when converting, those leads almost never become customers). After a while they realize that’s not the way to go and start searching for solutions. The purpose of this post is to help you avoid wasting your investors’ money, and tackle SaaS marketing like a pro. First things first – who are you selling to? A good starting point to learning your target audience is to learn all you can about your current customers. Evaluate the following: who are those people whose problem you’re solving? How old are they? What’s their professional background? What challenges are they dealing with and how do you help them solve those challenges? Understanding your buyer personas is the foundation of an effective SaaS marketing strategy. Without that, you’re working in the dark. Awareness – the prospect realized and expressed symptoms of a potential problem. For example "how do I drive the right kind of traffic to my website"
Consideration – the prospect clearly defined and gave a name to their problem and is now committed to researching and understanding all available approaches to solving their problem. For example, a prospect whose problem is driving the right kind of traffic might research "how to do Inbound Marketing" or "what you should look out for when outsourcing Inbound Marketing"
Decision – the prospect defined their solution strategy and is now comparing vendors. Many companies are trying to sell to prospects at early stages of the buyer’s journey when in fact what they should be focusing on is adding value and positioning themselves as experts in their fields. The secret lies in distributing valuable content, building trust and creating lasting relationships. Turning visitors to customers will happen on your visitors’ terms. Just as you can’t force a social relationship, you can’t force a business one. The days of salesmen knocking on doors (both online and offline) asking for a glass of water and then pitching to death (or closed deal) are gone. We’re in an era of value. By placing the right content at the right place and the right time, you’ll be amazed at the quality of leads you’ll be generating. Those leads will be called inbound leads and the method – inbound marketing. Make sure you have a company blog, and keep your eye on the goal – adding value, helping and educating. 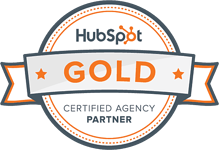 The blog isn’t an extended sales deck, it’s your chance to position your company as professionals. 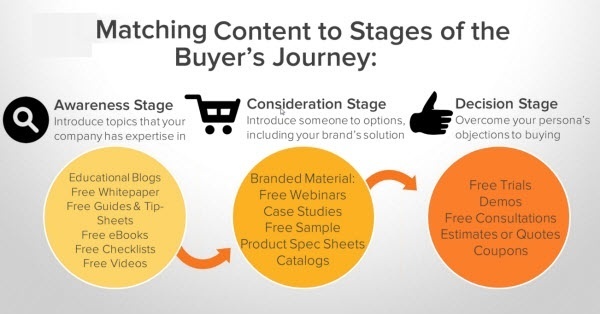 Align your blog content with the buyer’s journey. Awareness blog posts should be about high level challenges your buyer personas are experiencing. Consideration stage posts should tap into possible solutions, including yours of course. 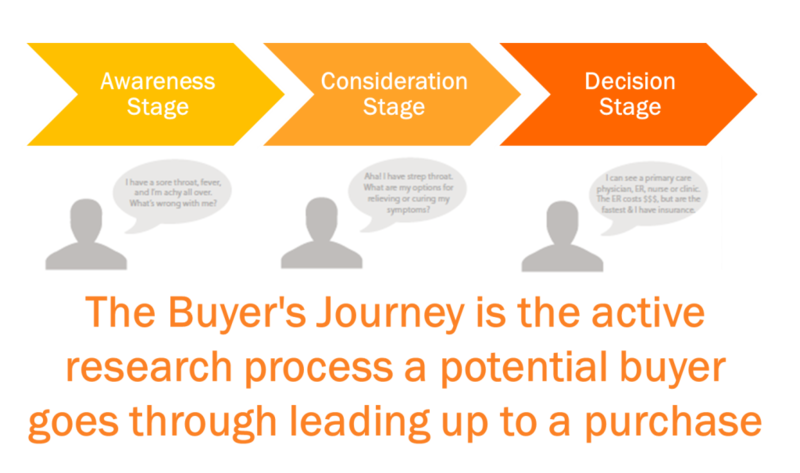 Decision stage content is the time to start selling. This is the time to convince your prospects why you’re the best choice, and it shouldn’t be too difficult since they already trust you and have gained value from your educational content. With respect to awareness stage posts, make sure to conduct a keywords research and to include relevant keywords in your blog post titles and content. This is important – you need to make sure your prospects will find your content when searching for solutions at the awareness stage of their journey. You can learn more about how to optimize your content here. In order to progress prospects down the buyer’s journey, use calls to action at the end of each blog post inviting them to download gated content that is most relevant to their stage of the journey. Technically speaking, these calls to action should lead to landing pages where they’ll be invited to provide their email and further info in order to receive the content. Once they do that a magic moment occurs – those visitors have now become leads. Don’t make the mistake of transferring those leads to sale just yet. Make sure to nurture them and to keep building their trust. Email them consideration stage content, invite them do download more gated content and nurture the relationship with them all the way down to the decision stage. Only once you’ve seen the leads have engaged with your content at a suffice level (subjective per company and product), transfer them over to sales. This way, instead of the regular complaints you’re hearing from them, they’ll suddenly thank you as they’ll be receiving leads who actually want to hear from them and don’t experience them as intrusive. For maximum exposure of your SaaS product, you should consider adding different SaaS directories and review websites to your strategy. You might get some traffic or conversions from the websites you submitted to (someone might stumble across your product) or at the very least, get some quality backlinks that will help down the line. Be wary, though. Some directories are labeled as spam due to misleading and/or false information - these will get you nowhere. Some websites like Pandia require you to pay for the placement, while others such as SoftwareFindr, Capterra, and Crunchbase are free. In any case, SaaS companies should consider building their presence on these software listing and review sites so buyers looking for products in your category can easily find your solution. By adopting a marketing strategy that revolves around adding value instead of interrupting, you can start generating customers from your online marketing efforts. Learn who your buyer personas are, understand their buyers journey and tailor content specifically for them and their challenges. 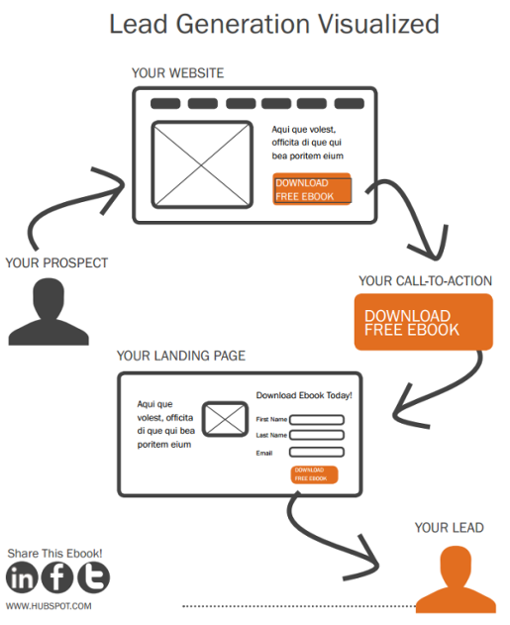 Now you understand inbound marketing in a nutshell. 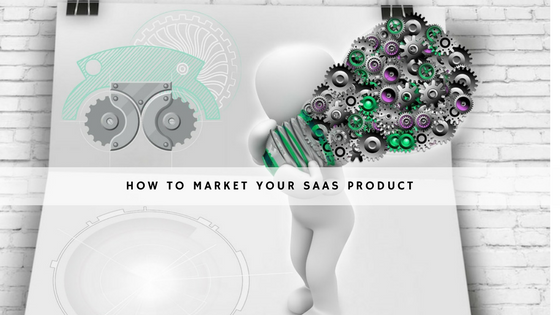 Time to learn more and step up your efforts to market your SaaS product.